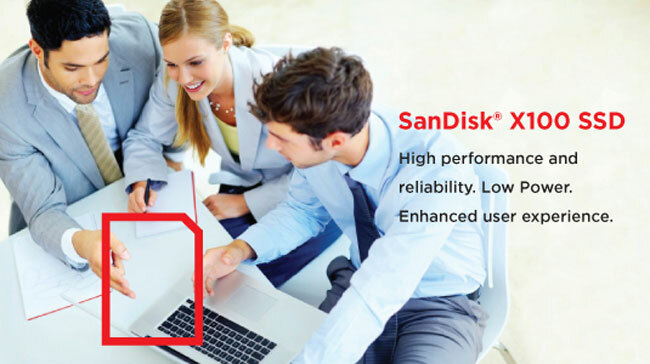 Earlier today, we talked about the new SanDisk Extreme SSD that debuted and briefly mentioned the X100. I am going to talk a little bit more about the X100 now. The new SSD will be offered in capacities from 32GB to 512GB and uses MLC technology inside. The drives plug in to various ports depending on the model. SanDisk will offer the new X100 in several form factors, including designs for the desktop, netbook, and notebook user. The drives are very power efficient needing 150mW when active and 75mW when on standby. The drives are rated for up to 2 million hours mean time between failure. Performance is up to 500 MB per second sequential read and up to 420 MB per second sequential write. It appears that the drive will be offered to PC makers in volume shipments only, no retail pricing is offered.